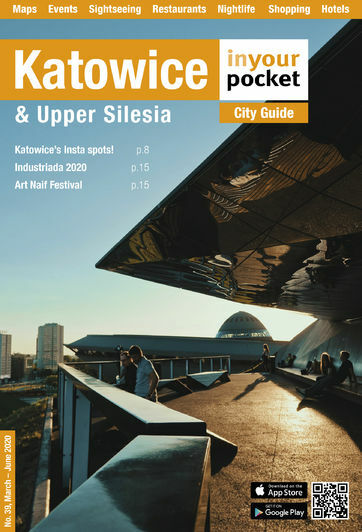 While Nikiszowiec is a refreshing, at times fascinating, highly photogenic adventure out of downtown Katowice, we can’t pretend to promote the same thing about its fraternal twin Giszowiec. While equally unique and unexpected, unlike Nikiszowiec, Giszowiec simply isn’t what it once was. That’s not to say there aren’t a few places of note, however. Another workers’ colony from the same sibling pair behind Nikiszowiec, in the case of Giszowiec the Zillmans took a completely different conceptual approach, designing an ideal ‘garden city’ for local miners based on the ideas of famous British urban planner Ebenezer Howard. Modelled on rural English cottages, the original dwellings of Giszowiec are low, freestanding, sloped roof houses surrounded by garden plots. Built between 1906 and 1910, the neighbourhood was arranged as a web of streets extending from Plac Pod Lipami – the central square surrounded by public buildings, shops, a restaurant, school and tavern. The project included a public laundry, a women’s bathhouse, theatre, quarantine barracks for the diseased, a prison and a strict set of guidelines to ensure the precious ‘English village’ atmosphere wouldn’t be lost; these included statutes governing everything from which garden plants could be grown to which animals could be kept. Possession of a goat, for instance, would be enough to see you expelled from this Utopian colony. Originally built for workers at the ‘Wieczorek’ coal mine, when the new ‘Staszic’ coal mine opened nearby in 1964 additional dwellings had to be provided and the minds of the day decided to demolish their ideal ‘garden city’ in favour of ten-storey apartment blocks fashioned out of pre-cast concrete slabs (as you do). The result was the labyrinth of hideous tower blocks you see when you arrive at Giszowiec today. In 1978 the destruction was stopped when some clever conservator decided to try and enter the urban structure of Giszowiec into the Registry of Historic Places; he succeeded, but only after two-thirds of the original buildings had been demolished, the charm of the remaining third being utterly overshadowed by the soulless new buildings surrounding them. As such, a trip to Giszowiec today entails steeling your stomach through the maze of concrete monoliths at its northern edge in order to reach the centre square where you’ll find the Municipal Cultural Centre and Dworek Pod Lipami restaurant (food?!) sharing the main building, as well as the Gawlikówka - a small gallery dedicated to the art of late native folk painter Ewald Gawlik. En route you’ll pass a few of the original cottage dwellings, and while we’ll admit they’re charming, if you’ve ever seen a rural residential neighbourhood during your lifetime, there’s not a whole lot to remark about them (“O look, this one has flowers. O look, this one looks just like that one!”). Undoubtedly the most interesting building in the area is the old schoolhouse at Pl. Pod Lipami 2, which still functions as a kindergarten. With a metal stag head and cross (Jagermeister, anyone?) adorning the clock-tower and yard full of playground equipment, the building possesses a spooky evocative power, particularly at nightfall when the clock-face suddenly becomes as luminous as a full moon. The afore-mentioned Gawlikówka at Plac Pod Lipami 3 is also worth a quick visit; if Gawlik’s canvases of rural Silesian life capture your interest, here you can pick up a map of all the places you'll find them hidden in the district. Curiously enough, the largest collection is inside a tiny hairdresser at ul. Pod Kasztanami 34, the interior of which also makes it a bit of a museum in more ways than one. All told, Giszowiec stills captures some small town charm, despite being a shadow of what it must have been. If you enjoy the small pleasures of being a stranger in a strange land, an excursion out to these two historic labour communities might just be the bizarre highlight of your time in Silesia.